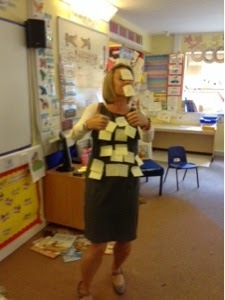 Can you remember why Mrs T had lots of post it notes all over her this morning? 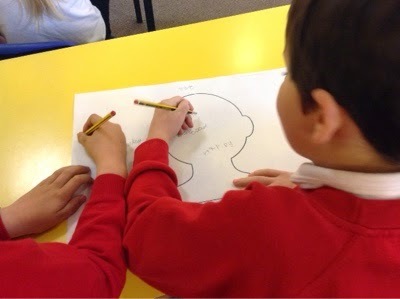 In our Literacy work, we are focussing on the characters in the Fandango Stew story. 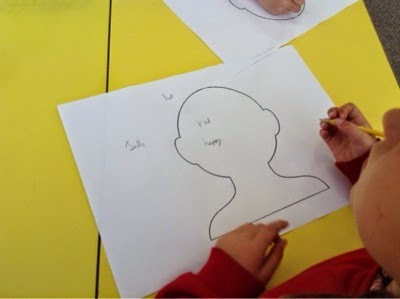 We needed to think not only about what they look like, but also what sort of person they are. 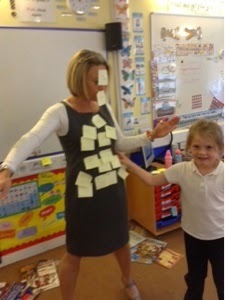 We had a practice writing words to describe Mrs Tatman! 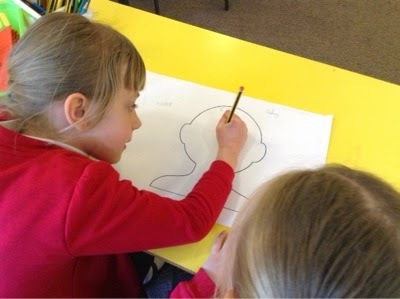 We then had to decide if our word described what she we like on the inside, or whether it told us about the outside. Then we chose either Slim, Luis or the Sheriff and thought about aspects of their character. Which words did you choose to write? Our Pick and Mix came in handy. Tomorrow, we can use our notes to write a detailed character description. Our five minute Target Time has been a huge success so far! 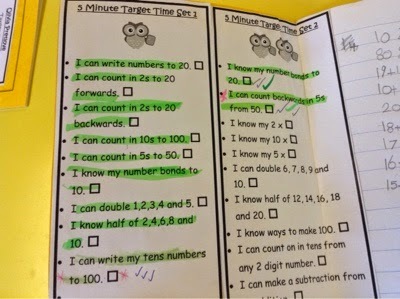 We are all working on our own individual targets at the start of the Maths session. 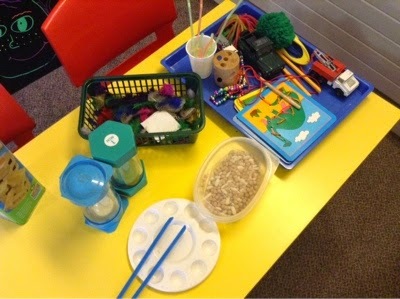 Green is Great so we can see that we are making progress! Well done everyone for trying so hard with this new idea ~ you have impressed us all! 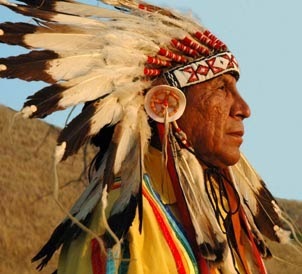 As part of our learning on Native Americans. We looked at different Native American pictures and then used pastels to draw a fish in the same style. Can you talk like a cowboy? As part of our Wild West topic we are learning about the cowboy way of life. This includes how to speak like a cowboy. The children had fun learning some new words like mustang, howdy, mosey, lasso and saddle tramp. They then showed off their great cowboy accents! 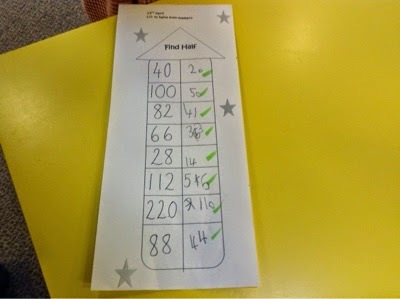 We built on our fractions learning by making flags and some of the children are now using sixths, thirds as well as quarters. 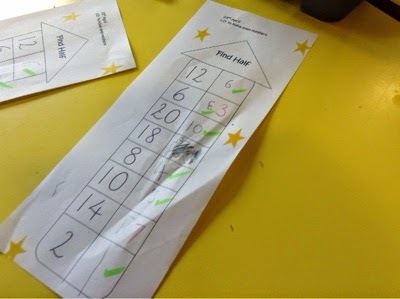 We used folding to help us realise that 3/6 is the same as 1/2 and the 2/4 is the same as 1/2 too! Can you do the Boot Scootin' Boogie? Have a go! 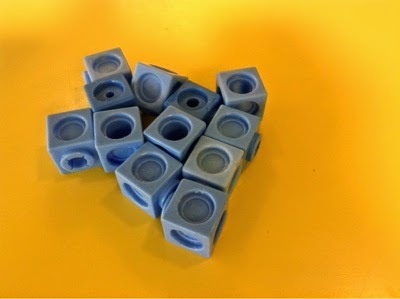 We found this pretty tricky but with another lesson to practise we think we will have it mastered! 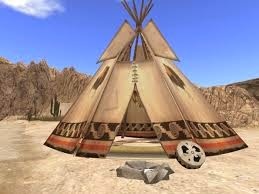 We have already learnt so much about Native Americans - where they live, what they use to keep warm, who were famous Native Americans and what their names mean. 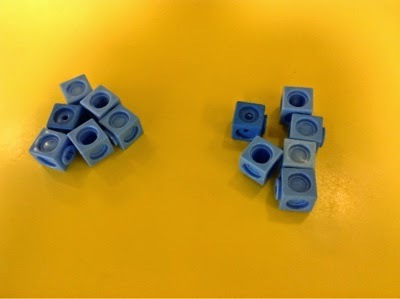 Following on from our Lego fractions work this week, we explored how it is that we find half of a number, and what works best. 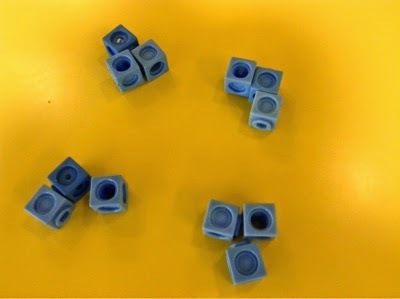 Some of us used cubes and shared them into two equal groups. 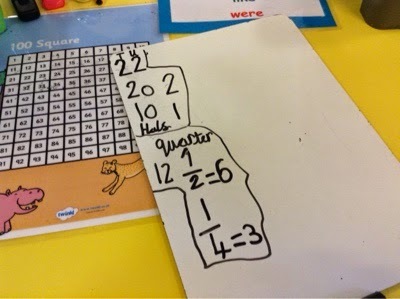 We are extending our learning to finding a quarter of numbers too. This will help when we move onto finding three quarters of a number, or maybe a different fraction like one third of a number. We are becoming fabulous with fractions! 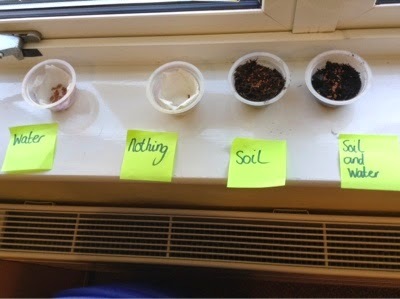 Which of these conditions will be the best for our cress seeds to grow? 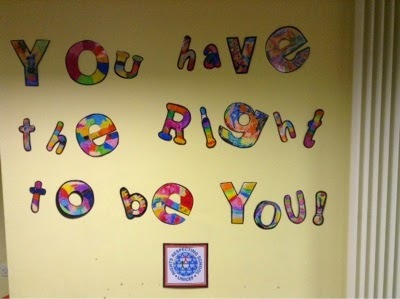 Walnut Class talked about this in our class assembly. Look how fab our lettering looks next to the hall! 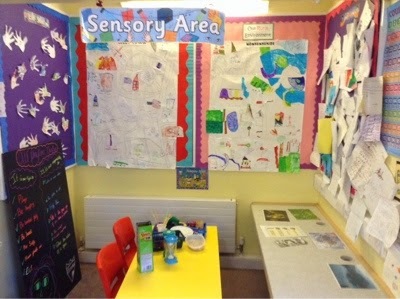 Walnut Class made a sensory area today! We all had fun having a go in it. We have been looking at how different cultures pray in our RE lessons. 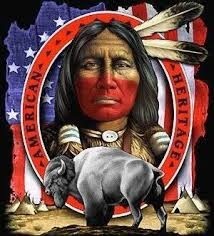 The Native Americans show great respect for nature. 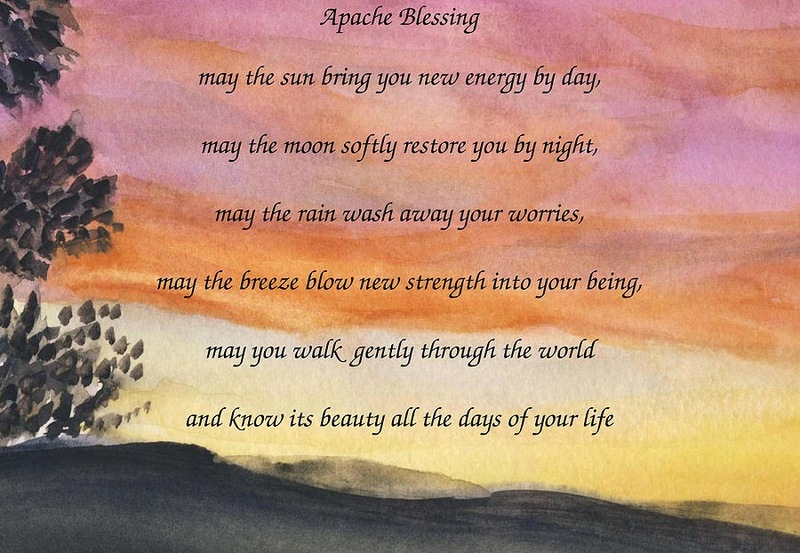 We have been learning this blessing and appreciating the beauty of the world around us in the sunny Spring weather this week. Dreams floating down the feathers of our dreamcatchers! We completed our dreamcatchers which are now floating in our classroom - until they go home to catch the dreams in our bedrooms. We worked really hard to tie on the beads and feathers (which are most important as it is the good dreams which float down the feathers to our beds), which was quite tricky. We made sure we followed the design on our plan. What makes a legend and How did the Stars get in the Sky? 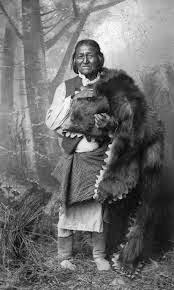 We have been looking at Native American legends as preparation for writing our own legend later in the week. 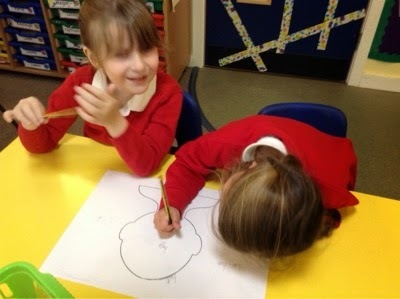 We had some great ideas as to how the stars got in the sky that were different from the legend we read. We also looked at different parts of the legend to find the powerful verbs and adjectives so we can use them in our own writing and what would be the best way to begin our legends. Long, long ago before time began was a favourite one. Now we are all looking forward to writing our own Native American animal legends! 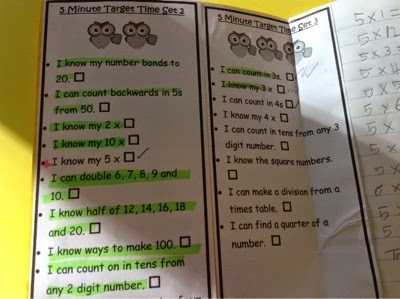 Times tables fun and games! Wrapping up our eggs, before dropping them!